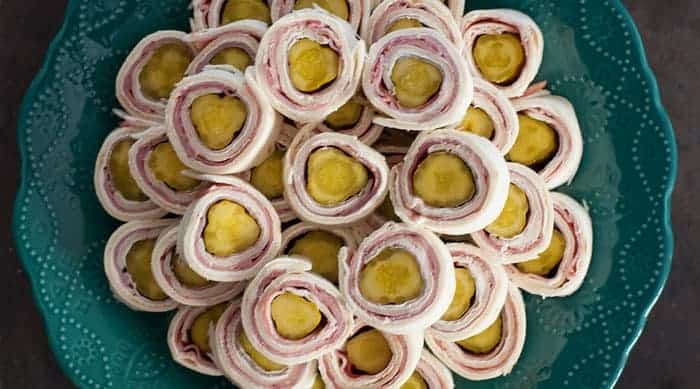 A classic recipe for pickle ham and cheese roll-ups. Pickle lovers – you will want to try these! Delicious appetizers perfect for graduations, bridal or baby showers, barbecues and more. 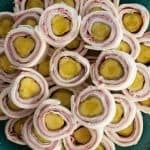 This week I am featuring a classic appetizer recipe — pickle ham & cheese roll-ups. My aunt started this tradition in our family. And the best part, when she makes them for our family get-togethers, is she piles them super high. Which is a must because they go super fast. She could easily have her very own creative/food blog filled with appetizers, delicious homemade bread, raspberry salad, desserts and more. And plenty of humor to go with it! You may want to wait to make these until you are alone — or the roll-ups will never make it to the get-together! My husband and children love to steal them while I make them, which makes it really hard to pile them high on a serving tray. I made this recipe last weekend for an appetizer/game night with friends. Luckily my husband and kids were out running errands when I made them so I was able to get the plate piled, covered and in the refrigerator before they returned. Spread one tortilla with softened cream cheese and sprinkle with season salt. 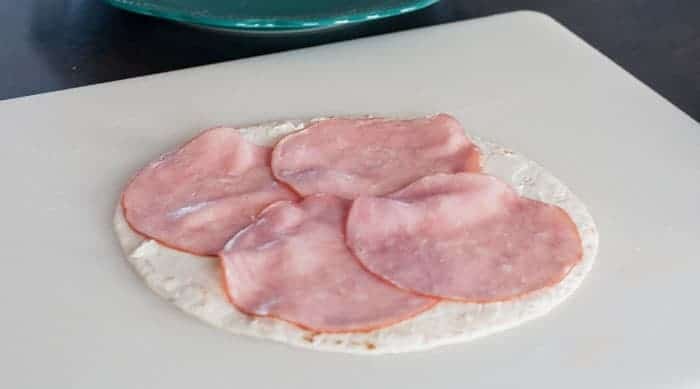 Top with a layer of thinly sliced deli ham. 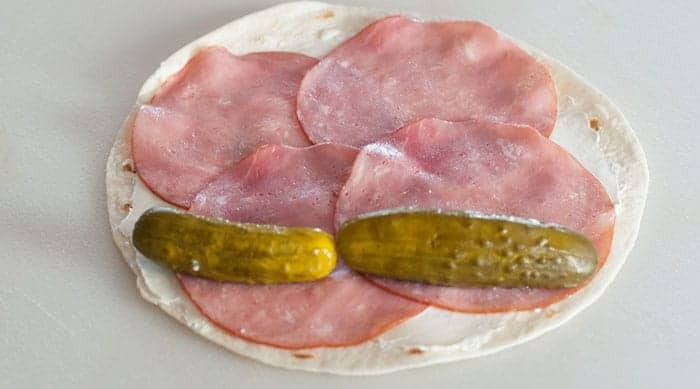 Place pickles across one end of the tortilla. 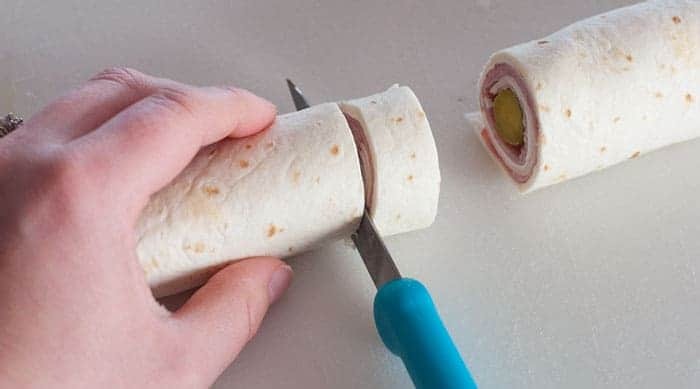 Wrap the tortilla around the row of pickles and continue to roll to the other end of the tortilla. Place on a serving tray and pile high until you run out of ingredients. If you’re having a large gathering – I recommend making at least two batches. 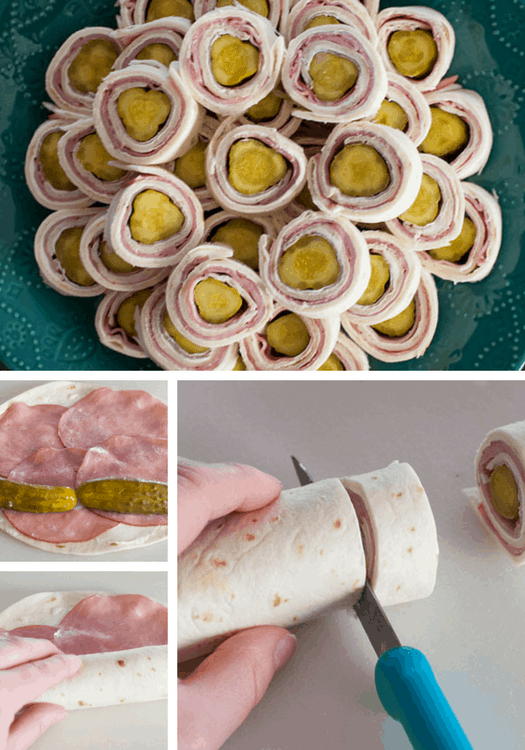 A classic recipe for pickle ham & cheese roll-ups. These will be your go-to appetizers to bring to the next potluck or barbecue. Slice the roll into 1/2 inch slices. Place on a serving tray and repeat until you run out of ingredients. 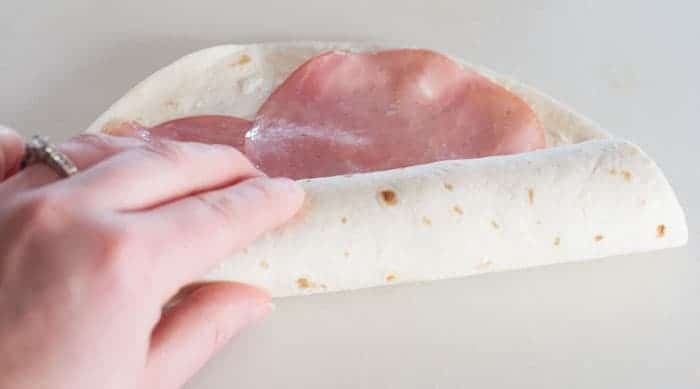 It’s best to make these roll-ups the same day. 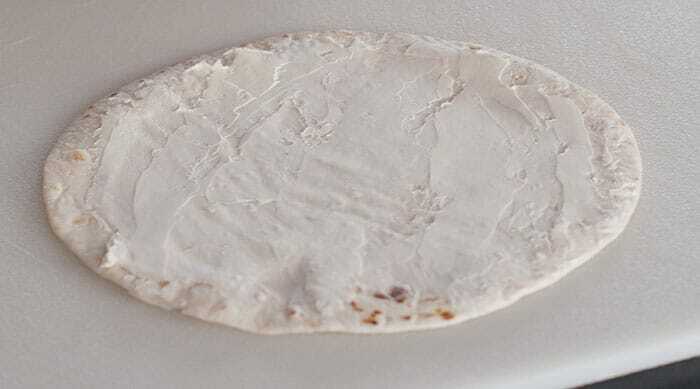 The tortilla will get a little soggy when left in the refrigerator overnight. But still delicious! They look delicious. I will certainly be trying these this week. Never seen anything like that before over here in the UK!